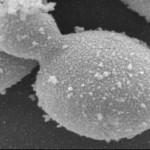 When life is finally discovered on another planet, it will probably be yeast. Fungi are hearty cooties that have some characteristics of both plants and animals. They can morph into different forms in order to survive and thrive. Spores can be dormant for years. This life form probably evolved in concert with humans, so there shouldn’t have been a problem. There was a natural balance. Then, antibiotics entered the picture. They are a part of the fabric of our modern environment. Need a Caesarean delivery? That’s done with intravenous antibiotics, through a sterile field. Get a cold or flu? Antibiotics. Fever? Sure. How about, “I think that I’m getting sick”? Antibiotics are good for that, too! We haven’t changed genetically in the past decade, but those little yeasty beasties could have. In the microbial world inside our bodies, there are viruses, bacteria and yeast vying for the available food supply. On day one of life, we introduce a (weakened Hepatitis B) viral load to the nascent immune system. The next several years are spent assuring that our manufactured version of immunity is the superior way. Next on the “enemies of the body” list is bacteria. Those guys living in our children’s ears, noses, tonsils, adenoids – out with them! Antibiotics for ear and other infections. Antibacterial soap. Antimicrobials in our milk. Pesticides on the food. Oh, and by the way, the good bacteria that live in your gut are gonna be zapped, too. But, since we don’t know a thing about the microbiome, we can just ignore possible downstream effects, such as a healthier immune system. What remains? YEAST! (and antibiotic -resistant bacteria). So, the valuable organisms that are supposed to be doing good work in our gut – work that affects the immune system, the nervous system and digestion are all depleted. Could that be why some children keep getting “sick all of the time?” Could that be why chldren have unusual stooling patterns, difficulty toilet training or require laxatives? Isn’t it possible that much of the eczema that children have, especially the kind that won’t get better easily, is due to a fungal overgrowth? Could an unhealthy G-I system lead to some of the behaviors that we see in autism? The clinical fact that I observe each and every day is this: many children who exhibit stereotypies and other movement disorders demonstrate improvement in those characteristics when their gut health is addressed. And, specifically, the bug that seems to cause the greatest havoc is fungus (yeast, Candida, mold, spores, hyphae, slime). The primary symptom that I have observed when it comes to yeast is “fog”. The children just don’t seem to be “with it” and they spend a great deal of time doing repetitive behaviors and stims. Sometimes, they act especially silly or they can even have sleep disturbances. And, of course there are bowel disturbances such as chronic constipation or diarrhea. Unbalanced yeast can interfere with other biomedical treatments, such as methyB12, and make them appear less effective or not effective at all, especially if “die-off” occurs. This is best described here. The resulting behavior is not unlike those signs and symptoms ascribed to yeast, but it can be much more pronounced. This could result in increased stimming, vomiting, tantrums, bowel disturbances and sleepless nights for up to 14 days. Activated charcoal and liquid motrin can sometimes be a great aid for this problem by neutralizing toxic substances. Finding yeast microscopically or in a stool culture can be helpful. Features such as color, consistency, odor, and other things are extremely interesting. “What other things?” you ask. I have seen worms, toys, rope and money. 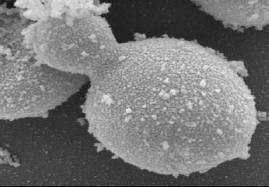 White flecks and mucus are signs of yeast. The best way is to avoid the problem. Healthy children don’t have difficulty with the yeast in the environment. Somehow, we’ve got to stop the antibiotic frenzy. So, that brings us to the ANTI-YEAST DIET. As far as the possibility that a special diet can prevent or treat problems, we should embrace the opportunity, not ridicule or deride the attempts at controlling the G-I system in the most natural manner possible. Sometimes, a clinical diagnosis is suspected and an anti-fungal medication is prescribed (and/or an oral and/or topical nystatin preparation). Continuation of a potent probiotic offers a safe, simple means to decrease future episodes. Naturopathic remedies may prevent future recurrences, though The Child Development Center has been less-than-successful utilizing them to treat symptomatic fungal effects. This is a controversial topic and that there are many, many conventional physicians out there who would consider all of this kooky. Pseudo-science. Faulty thinking. The results that we observe are coincidental or fictitious. Ladies and germs, do you have a better explanation? This entry was posted on Tuesday, May 10th, 2011 at 7:16 pm	and is filed under >ALL<, Alternative and Complementary Medicine for ASD, Diets, Patient experiences. You can follow any responses to this entry through the RSS 2.0 feed. You can leave a response, or trackback from your own site. Thanks for the meat Doc. Bring on the potatoes! I haven’t seen it posted anywhere, but if it is like a system flush like a shot of clear liquor when flu starts and biomass yeast with pasteurization, then a spoonful of castoroil every third day and a probiotic the next day for 21 days may actually work to counter the vaccine based yeast (like some believe caused autism) spirochaete and flagellate effects the excess affects of aspbergers my own son has to deal with. let me know if it might be worth trying. it certainly would not hurt to include with daily excess B12 and C gummies. I take 2 power C and am pumping B12 gummies.